"As voters head to the polls in Delaware today, the news media and many in the political establishment have sought to cast tonight's election returns as a lose-lose proposition for the tea party movement. "If Conservative Republican Christine O'Donnell wins, the news media and political elite insist that this will be a loss for the Tea Party movement, as it will surely mean a win for the Democrats in November, and increase their chances for retaining a majority in the U.S. Senate. "But wait, if Liberal RINO Mike Castle wins, the news media and political elite similarly insist that this will be a loss for the Tea Party movement, as it will mean the establishment has defeated the Tea Party-backed candidate. "So under the logic of those in the media and the political establishment, the Tea Party movement loses either way. Nice try, but we at the Tea Party Express aren't buying this narrative. "The Tea Party Express, Gov. Sarah Palin, the Independence Hall Tea Party PAC, and Diamond State Tea Party all endorsed Christine O'Donnell because she best represented the principles important to the Tea Party movement: limited government and a return to the constitutional principles this country was founded on, but which our political leaders have increasingly strayed from. "It used to be the accepted notion that primaries were about allowing voters in a political party to support the best candidate who represented the members of that party. Now, however, we're told voters are stupid if they don't instead play the role of political strategist and support candidates based on a political chess game, regardless of their principles. "We here at the Tea Party Express trust the voters to follow their hearts and to stick to their principles and beliefs. When Ronald Reagan waged his campaign for president in the 1980 election cycle, the same political elitists and journalists who are deriding Christine O'Donnell as 'unelectable' similarly sneered that an 'extremist' like Reagan could never be elected. As a result, John Anderson from Illinois was egged on to offer a more 'reasonable' choice in the general election campaign. Reagan won, Anderson and Jimmy Carter lost, and the political elite and journalists had egg on their faces. "Supporting the most liberal Republican Member of Congress, Mike Castle, is not a viable option for constitutional conservatives. Those who have urged support for Castle do so from the most crass and soulless political calculation where principles are irrelevant, as it is a zero sum gain. "We've tried this route of electing Republicans to government who didn't believe in their own party's platform, when we had a Republican Congress and a Republican in the White House. What we got was massive spending, higher deficits, bailouts, and a significant increase in the size, scope, and power of the government. "We here in Tea Party movement are trying to change the nature of our leaders in Washington, and that means dumping failed and corrupt politicians like Mike Castle who trade their votes based on the campaign contributions of well-heeled lobbyists or the arm twisting of political party leaders. This is the very reason Mike Castle has attempted to hold at least four positions on ObamaCare - because at each time his primary concern was not what was good for this nation, but what was good for Mike Castle's political ambitions. "When term-limited Governor Castle wanted to prolong his career feeding off the public trough, and remaining a member of the ruling class, he orchestrated 'The Switch' with Democrat Congressman Tom Carper that would allow both of them to retain their political power. It was all about their egos and their power, and the same motivation for Mike Castle continues to this day. "Mike Castle and his political henchmen continue this crass and shameless behavior to this day. This year, the Delaware GOP establishment - led by Mike Castle's closest allies and advocates - deliberately chose to not field a Republican candidate for Attorney General in the state of Delaware. Why? Because the Democrat Attorney General is a man named Beau Biden, who happens to be the son of Democrat Vice President, Joe Biden. "But don't worry say Castle's Republican supporters. If he wins the GOP nomination for U.S. Senate in Delaware we're supposed to expect him to suddenly become some kind of Republican loyalist, helping to advance a conservative revolution in Congress. "We here at the Tea Party Express don't buy that for one minute. Whether it means switching political parties, or voting with the Democrats on more bailouts, Cap & Trade, or for liberal judicial activists for the U.S. Supreme Court, Mike Castle will play to the same political puppet masters he always has, and that's not to Republicans, conservatives, or his constituents. "The Tea Party Express has won nearly every election it has played an active role in. Today, the voters of Delaware will decide whether to support the Tea Party Express-backed candidate, Christine O'Donnell. If they do, that will be a victory for the Tea Party movement, no matter how many pundits or journalists try and argue otherwise. 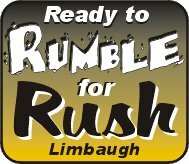 "The next step is to fight on behalf of these Tea Party candidates in November, and ensure that they once again defy the wishes and predictions of the political establishment, by propelling these constitutional conservatives to victory over their liberal Democrat, big-government opponents. The Democratic Party should pay attention to the message sent by voters in Tuesday’s mid-term elections, or they might face even more losses in 2012, according to Gregory Dixon, a political scientist at the University of West Georgia. Voters, and especially those in Georgia, signaled their displeasure with President Barack Obama and the Democratic-controlled Congress at the ballot box, giving the Republican Party a majority in the House of Representatives and slicing the Democrats’ majority in the Senate. Dixon said the Democrats’ top leadership is to blame for the party’s losses. “The election this time saw a negative reaction to the politics of [Senate majority leader] Harry Reid, [Speaker of the House] Nancy Pelosi and President Obama,” he said. Political Pitstop is the brainchild and work of a group of political minded guys (presently, we're working on attracting a gal to join forces) who will reveal themselves as time goes on. The thoughts and words in this blog in no way reflect the beliefs, practices or outlook of the Fayette Front Page or the Georgia Front Page or any of its staff or owners. We're on our own out here blogging along our individual merry ways. Heck, we can't even agree among ourselves on some of the issues we're going to be writing about. Want to disagree? Post a comment. We won't post attacks or personal slams, but we will post honest, factual and / or well-thought out disagreements. Sign Up Today for the Conservative Alliance Newsletter!